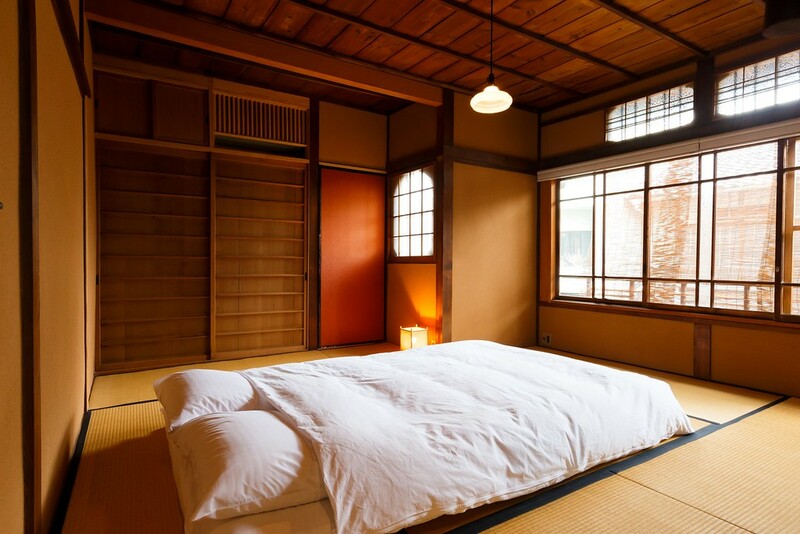 If you really want to experience Kyoto, you should consider a night or two in a machiya (traditional Kyoto townhouse). 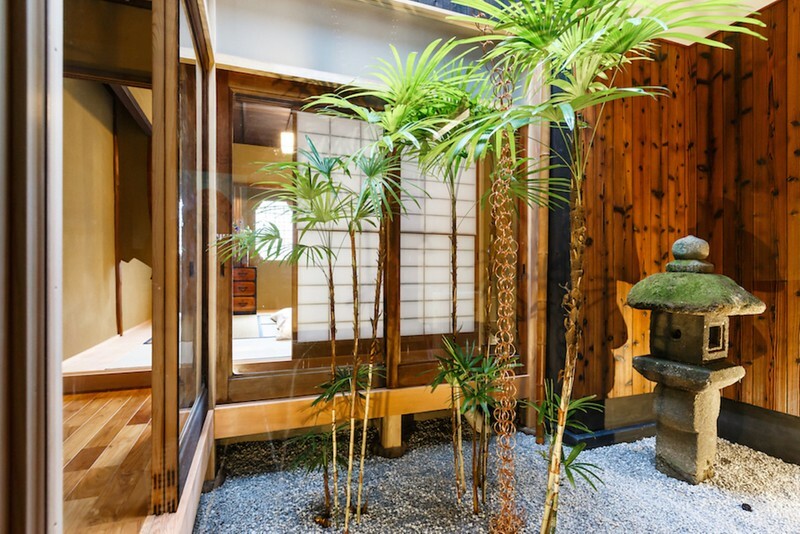 Machiya combine all the advantages of a vacation rental with the authenticity of a ryokan. 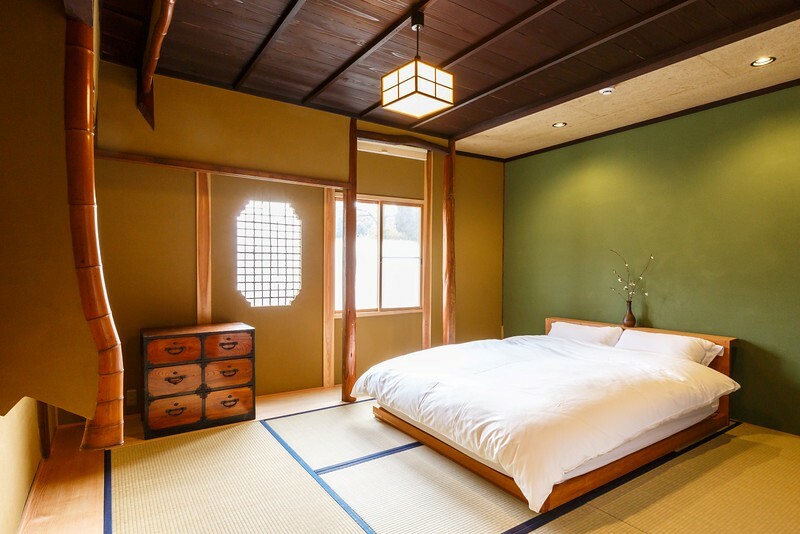 Here, we introduce the best machiya rentals in Kyoto. Scroll down to the Kyoto’s Best Machiya Rentals section if you just want to get busy booking a machiya. If you want to learn more first, read the following sections. 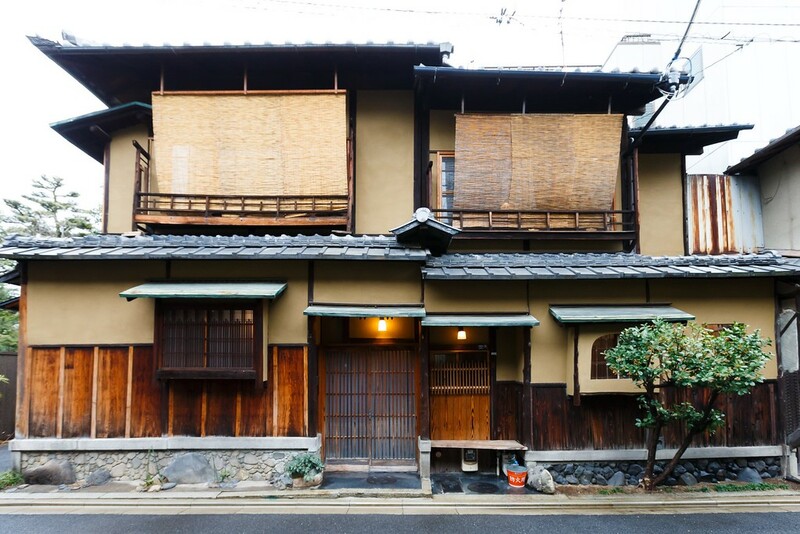 Machiya are traditional wooden townhouses that were popular with Kyoto merchants and craftspeople until just before WWII. Because Kyoto wasn’t bombed during the war, many fine machiya have survived until the present day. 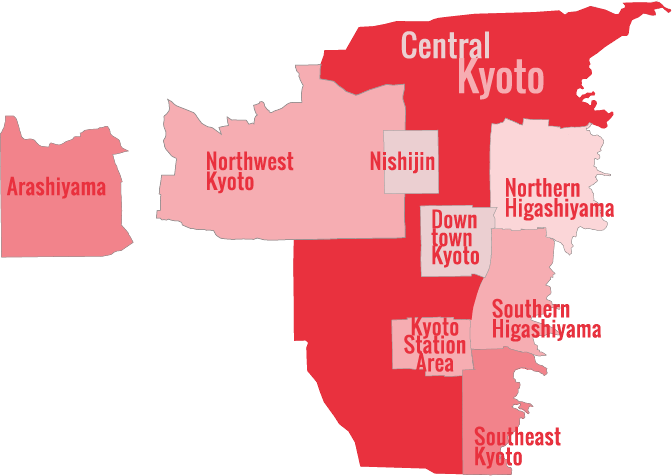 While some Kyotoites continue to live in machiya, many surviving machiya have been converted to restaurants, shops and, best of all, vacation rentals. Machiya are long (deep) and narrow. They often contain a beautiful enclosed courtyard garden near the back. These tsubo-niwa are open to the sky, and sitting under the roof watching rain fall into the garden is a magical “only-in-Kyoto” experience. 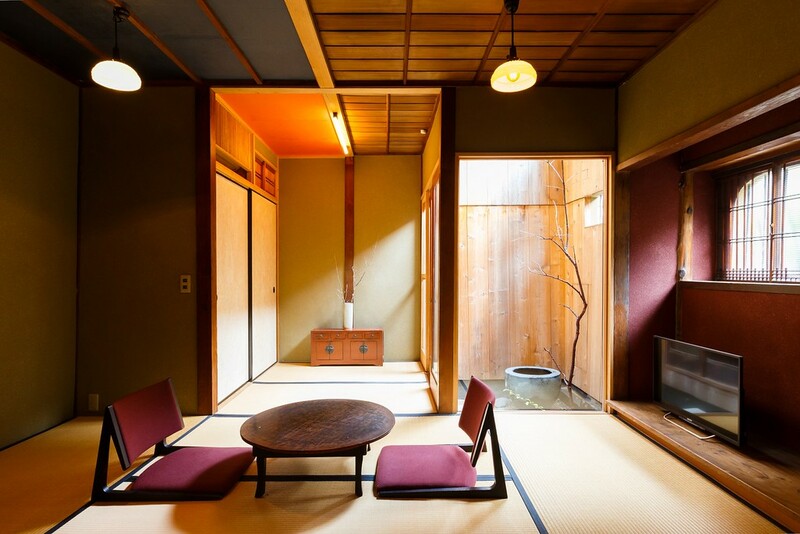 The interior of a typical machiya is traditionally Japanese, with tatami mat floors, spare decoration, exposed wooden beams, and sliding shoji or fusuma doors between rooms. The materials used in a machiya are exclusively organic, which make them extremely pleasant and healthy to live in. What’s it like to stay in a machiya? Staying in a machiya is like staying in a very Japanese vacation rental. Like other vacation rentals, you essentially have the whole house (or, in some cases, half a house) to yourself. All of the machiya listed here have laundry facilities and wifi. Some also have kitchens, cookware and tableware. The best thing about the machiya listed here is that some changes have been made to accommodate foreign guests, which means beds instead of futons (but you can always choose a futon if you wish), floor heating and air-conditioning, and chairs. Finally, the operators of the machiya listed here offer simple concierge services, which can really make your stay in Kyoto special. Kyoto has several excellent machiya that welcome foreign guests. I’ve personally inspected all of these and even stayed a night in some of them. I strongly recommend these places to my consulting clients, family and friends – and everyone loves them. So, why not try a night or three in one of these excellent Kyoto machiya? The Old Modern is the former home of a famous Kyoto architect that has been converted into four unique suites, each of which is an architectural and design marvel. It’s one of the most interesting places to stay in the city. There are other machiya available in Kyoto. I have not personally inspected the following, but they get generally excellent guest reviews.